In their STEM class this week, the Kindergarten students started building model homes for their pets. 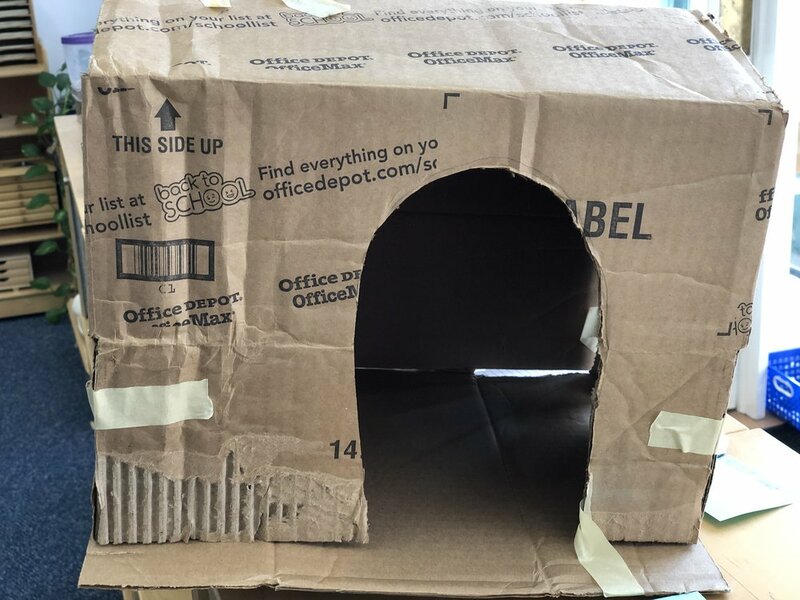 After discussing the structural elements of each home, they worked in groups to build an aquarium, a cat condo, a bird cage and a dog house. After completing the structures, they decorated and added to the comfort of the homes. As part of their Empowering Writers workshop, some Kindergarteners worked on the concept of “character, setting and object” of a story while other students worked on “character, problem and solution”.